Half double crochet is a fun quick stitch. 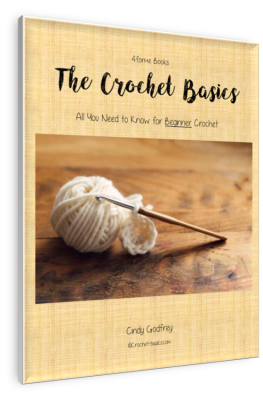 It’s slightly taller than single crochet and just as easy. Once you learn it, you’ll be flying through your projects. Let’s start right off making a swatch. 2 – yo, insert your hook into the third chain from the hook. A Little Help . . . Note that this is different from single crochet. You yarn over first, before inserting the hook into your chain. 3 - yo again and pull loop up. You should still have 3 loops on your hook. 4 – yo a third time and pull through all 3 loops. Be careful not to split your yarn while working this stitch. It’s easy to make this mistake when pulling through 3 loops. Keep your hook facing down and that will help you avoid it happening. That is your first complete stitch. 5 – Continue hdc to the end of your foundation chain. 20 stitches. 6 – Chain 2 (turning chain) and turn your work. 7 – Repeat steps 2-6, 11 times. You will have completed 12 rows. Don’t forget you can use stitch markers to help keep track of your row count. 8 – Fasten off and weave in ends. If you need a refresher on how to do these go back and review. Fasten off. Weaving in ends. You’ve completed your first swatch. Keep practicing. 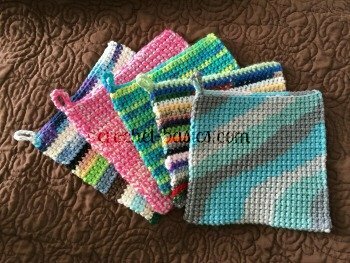 Make another swatch, but vary your row length this time, or try using more than one color of yarn. Be sure to practice turns as well. The more you practice the quicker it will become second nature to you. Try a pattern or two with this new stitch. 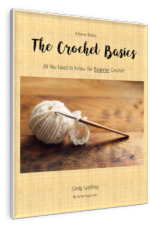 Once you're confident with it, leave Half Double Crochet and move on to Double Crochet.